It sure looks like spring is here to stay. What a beautiful time of year. We participated in in the Ft. Worth Lawn & Garden show in late February, meeting folks and handing out coupons. A great time at this show, we plan to make it an annual event for Russell Feed & Supply! 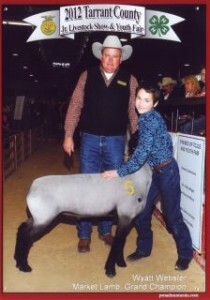 Russell Feed and Supply had a very successful Tarrant County Junior Livestock Show. Our customer Alise Ford had the Grand Champion hog, Wyatt Webster had the Grand Champion Lamb and Katie Spindor had the Reserve Champion Dairy Wether. There were several who made class champions as well. Congratulations to then and everyone who participated. Again this year it is our pleasure to be one of the largest contributors to this worthwhile endeavor bringing our total support to more than $80,000. 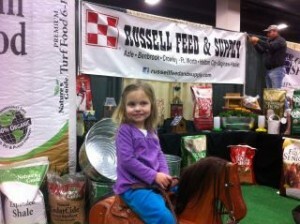 March is a big month for Russell Feed & Supply! The 1 year anniversary of the Saginaw Store opening is March 15th! Thanks so much for supporting our newest store. Makes me think about opening another one! A quick reminder, Daylight savings time begins March 11, 2012. 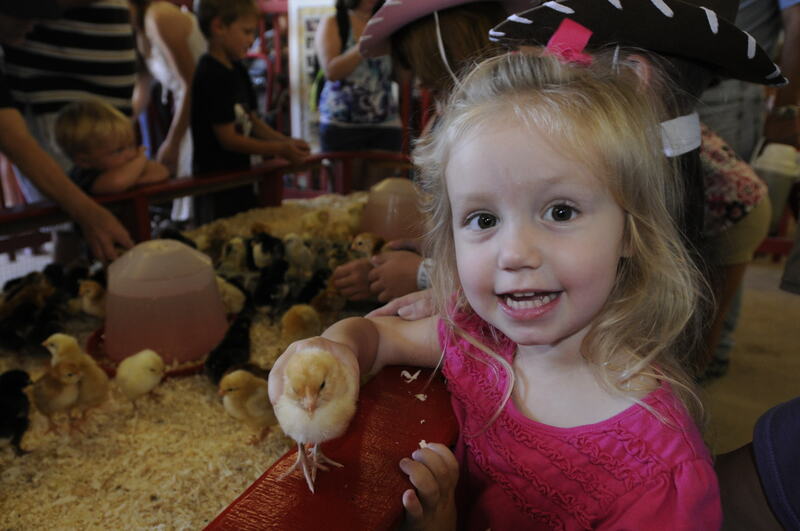 Save the date for March 17, Russell Feed & Supply “Chick Day”! Save 25% off chick starter feed with the purchase of chicks and save 20% of chick feeders and waters. Good only on Saturday, March 17 at all store locations. This is the busiest time of year for “Operation Vaccination” and our low-cost vaccination clinics. Come early and have bring plenty of patience! This will be short and un-sweet. Thankfully there is not much demand for hay because there is not much hay around. The weather has been our best friend this winter. I was hoping for some price decreases but the rise in transportation cost due to the increase in fuel prices will extinguish any hope of that happening. Round Bales: We have some in stock, quality is good, price is too high. Very little current demand. 2 String Coastal: Currently none available. I expect we will continue to be out until around mid May or June. 2 String Alfalfa: Currently none available. Working on availability for April. 3 String Bermuda: We are barely keeping enough to fill orders, supply is still tight. Price and demand have stabilized. 3 String Alfalfa: We have inventory. See you around the barn. This entry was posted on Sunday, March 4th, 2012 at 1:12 pm	and is filed under Hay Report, Kenny's Corner. You can follow any responses to this entry through the RSS 2.0 feed. Both comments and pings are currently closed.